second, to never insult anybody unintentionally. If I insult you, you can be (bleep) sure I intend to. 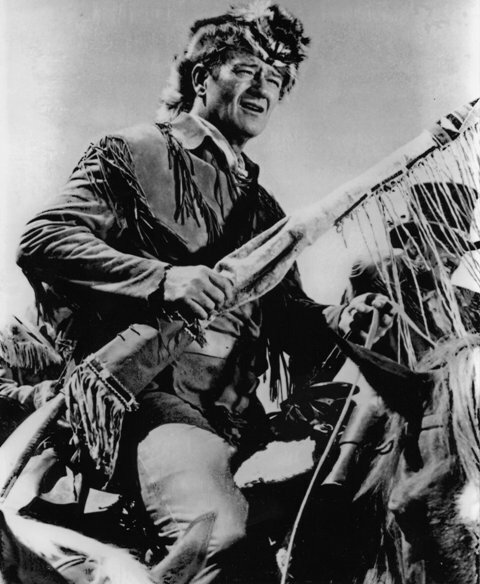 John Wayne had already made over a hundred movies before we were born, starting in 1926. The title of the 1926 film was Brown of Harvard. He played the role of a Yale football player in game sequences for the movie. Not a featured player, his name wasn't shown with the cast of characters. 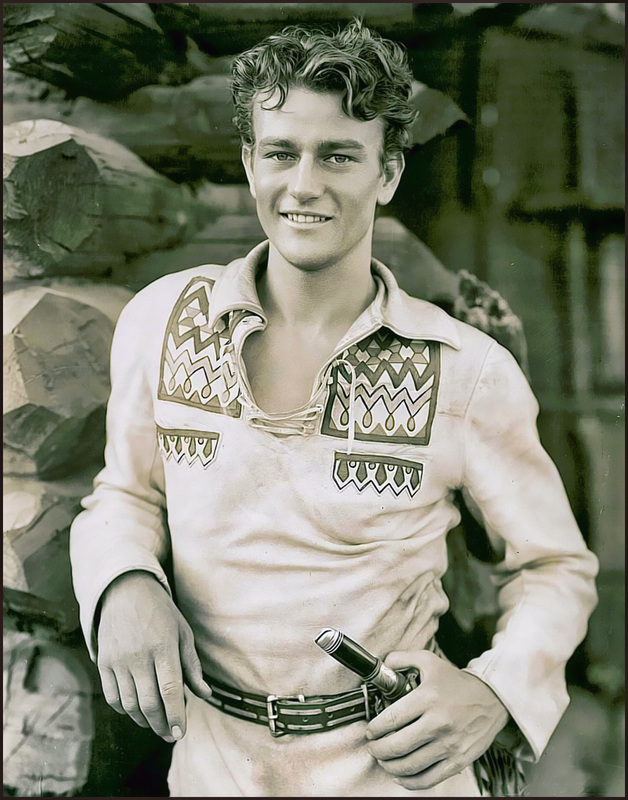 He was unbilled for six more movies when he was given his first starring role in an epic western, The Big Trail which was released in 1930. 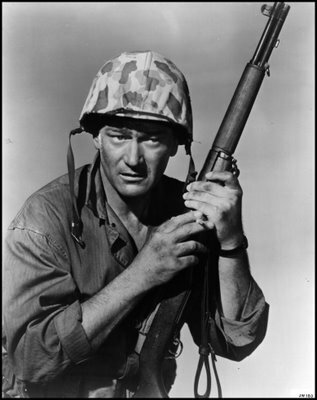 This is also the movie where he was given the professional name of John Wayne. 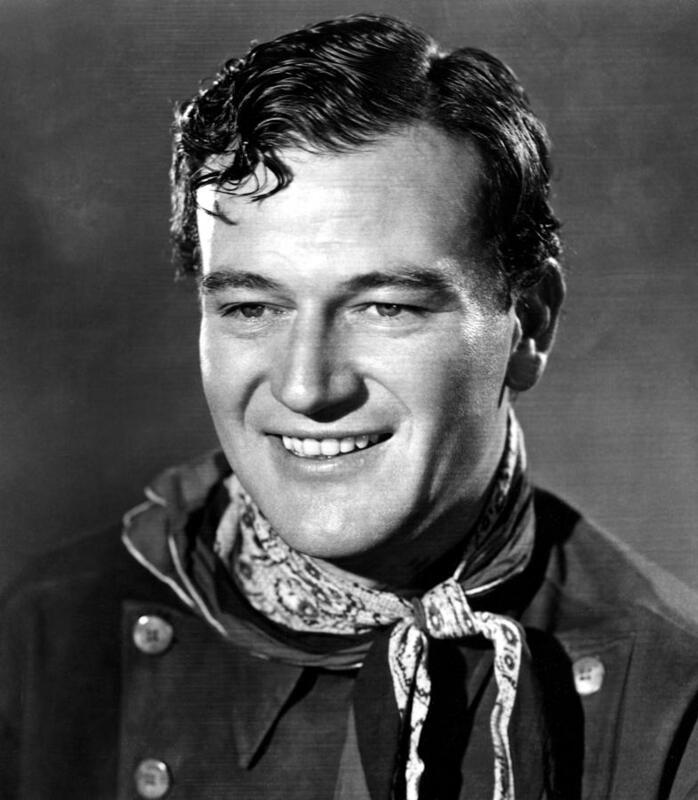 About sixty more films followed before Stagecoach, in 1939, which made John Wayne a star. Thirty films after Stagecoach, with the making of Angel and the Bad Man, in 1947, John Wayne would always have top billing in his movies. He would share top billing in movies like How the West was Won and The Longest Day but ever after he would be "the star". 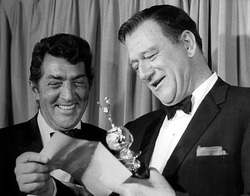 He won an Oscar in 1969 for True Grit. His last movie was The Shootist in 1976. At his request his horse, Dollar, was written into the movie. Friends and past co-stars Lauren Bacall, James Stewart, Richard Boone and John Carradine were also cast in the movie at Wayne's request. 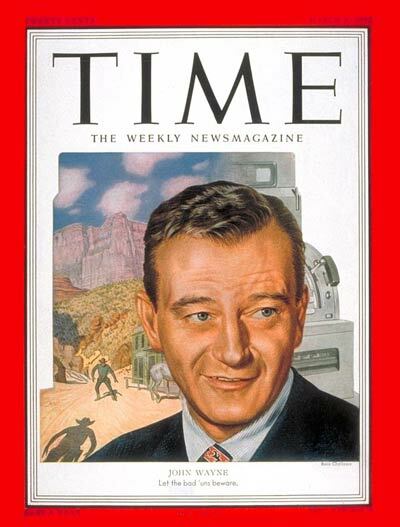 Three years after the movie was made John Wayne died of cancer. How many John Wayne movies were shown at the little theater in the little town in the valley isn't certain. The one remembered most is The Comancheros, released in 1961, and costarred Stuart Whitman. The song The Comancheros by Claude King was released the same year but never used in the movie. It was pondered at the time why the movie and the recording were separate, but the same thing happened to The Man Who Shot Liberty Valance written by Burt Bacharach and Hal David. 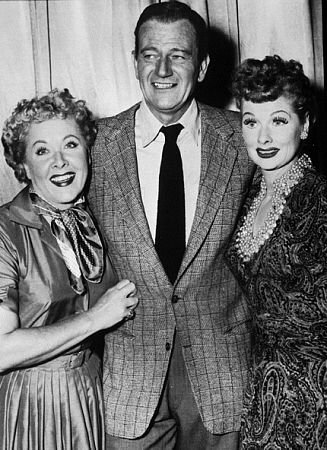 He also made appearances on television programs of the time, so even if his movies weren't available to be seen you would be aware of him through early TV. His movies made him famous, though. For over twenty years, beginning in 1949, with the exception of 1958, he was one of the Top Ten Stars of cinema. 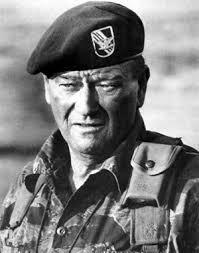 John Wayne has threaded through our lives in the characters he played as a cowboy and a soldier. His face, his voice, his walk are like no other. 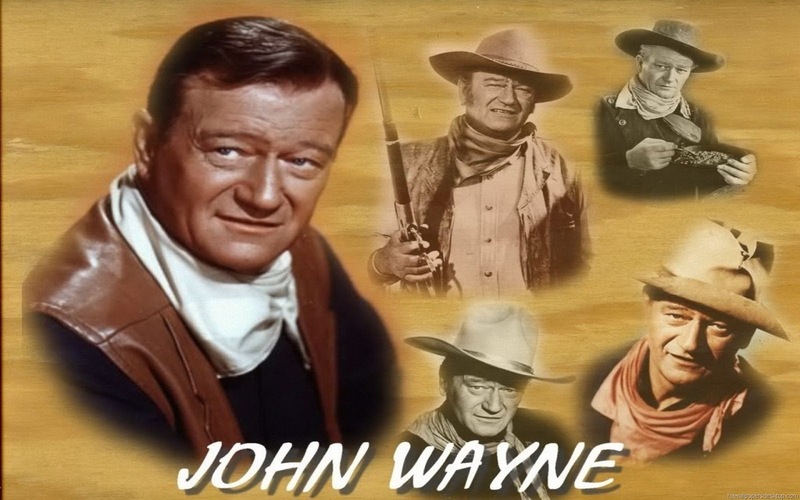 At the time of his role in Stagecoach, John Ford, the director, said that Wayne would become the biggest star ever because of his appeal as the archetypal "everyman". He was right. travel through dangerous Apache territory. for preservation in their National Film Registry. of life influences him and his violent ways. from Texas to Kansas along the Chisholm Trail. finest films and finest performances. his family's farm in Inisfree. 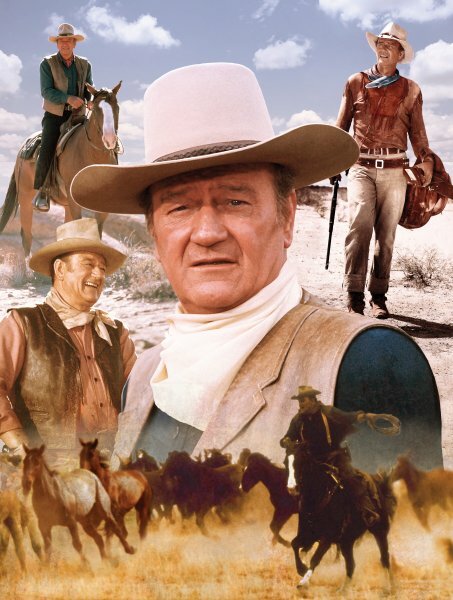 One of the most loved of John Wayne's films. film, and he was co-producer. Peaked at #4 on the Billboard Pop chart. and Victor Young peaked at #9 and #6.
accompanied by his adoptive nephew. Named the Greatest American Western of all time by the American Film Institute in 2008. Placed 12th on the American Film Institute's 2007 list of the 100 greatest American movies of all time. Entertainment Weekly named it the best Western of all time. The British Film Institute's Sight & Sound magazine ranked it as the seventh best movie of all time. In 2008, The French magazine Cahiers du cinéma ranked The Searchers in number 10 in their list of the top 100 best films of all time. In 1989, The Searchers was deemed "culturally, historically, or aesthetically significant" by the United States Library of Congress, and selected for preservation in its National Film Registry. It was in the first cohort of films selected for the registry. A cold war action film. 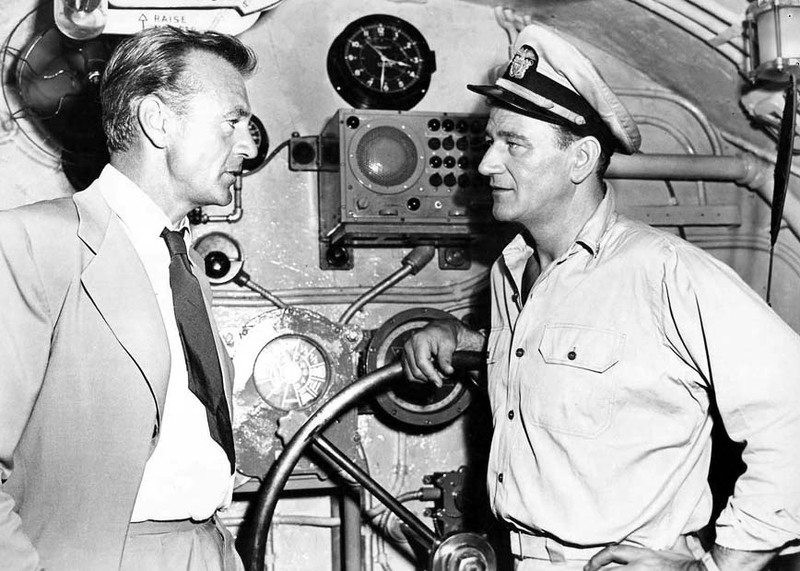 Shot in 1949–50 but not released until 1957.
as one of John Wayne's worst films. assigned by the U.S. Air Force to fly for the film. They flew for the film cameras, on May 20, 1950. The Comancheros but was never used. #7 on the Country Chart. with the local bully and gunslinger. "culturally, historically, or aesthetically significant". modern for the film's late 19th century setting. the song after the movie had already been released. I won't be laid a-hand on. 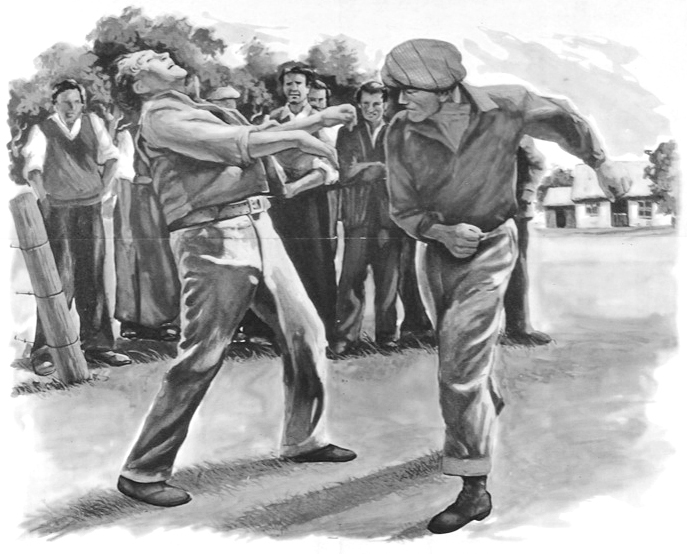 and somebody oughta belt you in the mouth.